In today’s market, you can find a Content Management System(CMS) at arm’s length. 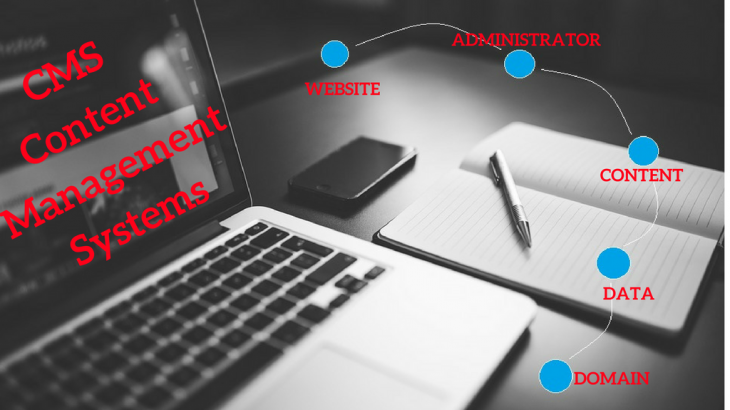 How do you pick the right content management system for your organization? Selecting the right CMS is a daunting task with a wide variety of open source as well as commercial offerings. A CMS is very important for coordination of marketing and communication resources. There are certain features a CMS should have keeping the end user in mind. This is the purpose a CMs is being put in place so the end user must be the focus of selection. · Ability to easily manage/update content and customization. A/B testing is an important feature given the focus on personalized content websites. · Document storing capability and management. · CRM, digital marketing integration features. This feature helps in streamlining workflow. · eCommerce functionality, this is a feature which might not be on list of many companies looking at a CMS but it is an important feature for the companies looking to expand into this area. · Easy to use forms for specific landing pages. · SEO capability and third party plugins is essential given the crowded internet. · Security features is an important feature given the increasing number of cyber-attack. There can be different need for the users and there should be clarity at what are the expectations. Though a CMS can have many more features and functionality but having a clear outline for budget is necessary. At the initial stage the need is usually the basic traction, hence the budgets are low. Hosting or dedicated hosting and support are also important consideration at this stage. The scalability needs to be kept in mind during the selection process because once the business grows the server capacity as well as website needs to be scaled and this has to be done swiftly. Therefore, the factor such as one time pricing/ annual renewal, per user pricing, discounts, SaaS model needs to be considered before finalizing a CMS. There are many vendors and that makes the whole process of selection even more difficult. There are certain features of the 3 major players (all open source platforms) in the area which make them most used. Most widely used CMS mainly because of its accessibility. 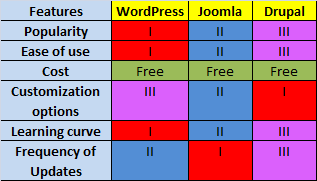 It is very easy to setup with man free extension but someone looking at a globalized website WordPress won’t be a good choice mainly for the reasons of security feature and globalization capabilities. It allows a great deal of customization but the platform is much more complex then WordPress and thus takes a long learning curve. It has the best security feature and allows plenty of customizations as well as out of box things. However, it is not easy to operate and requires patience to learn the system. Backup, Email, Email Archiving, Email Backup, Email Hosting Provider, Web Hosting. permalink. Kirk Ransomware: Star trek themed malware!